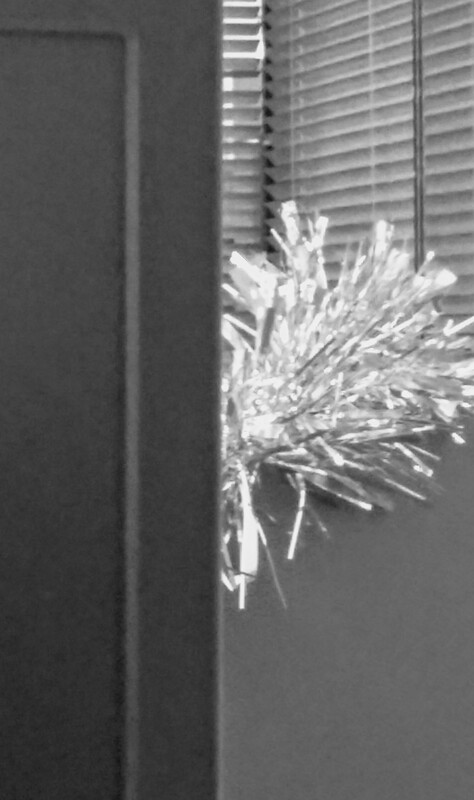 Some tinsel has appeared behind my monitor at work. I’m not sure how I feel about this. I like Christmas. I like Christmas decorations. I’m perfectly fine with tinsel – I’m not fussed about keeping Christmas tasteful. However, I do have my reservations about organised fun. I’ll be the one to choose when I have fun, thank you very much. And my strip-lit, hermetically sealed office is never going to feel truly festive, no matter how much tinsel you throw at it. But then again, maybe the lack of tinsel is what makes it work somehow. I appreciate the lack of real effort. Just a bit of tinsel draped on a desk partition. It is a bit rubbish, like an office Christmas should be.